This page shows the latest Netherlands news and features for those working in and with pharma, biotech and healthcare. This includes the Netherlands, which is looking to capitalise on the arrival of the European Medicines Agency in Amsterdam after Brexit forced it to leave London. On Saturday, EMA staff lowered the 28 flags of the EU member states and bid farewell to their London offices, as they start the physical move to the Netherlands. Approximately 5 fully matching, plus 189 partially matching documents found. 10.8% of GDP is spent on healthcare in the Netherlands versus 9.8% in the UK. ... Since the Netherlands is among the five wealthiest countries in the eurozone, the Dutch have high expectations. Tim Norris is Group Director at Excerpta Medica, Amsterdam, Netherlands and Dominic Sloane is Business Development Director at Adelphi Communications, Manchester, UK. Anna Georgieva is programme director at Excerpta Medica, Amsterdam, The Netherlands and Dominic Sloane is business development director at Adelphi Communications, Manchester, UK. Biologic or biosimilar: what are prescribers thinking? is senior research manager at SKIM Healthcare in the Netherlands, a.denhollander@skimgroup.com. Approximately 2 fully matching, plus 29 partially matching documents found. Novartis as well as heading their clinical operations team in the Netherlands. Nickl has already been the CFO of several companies in the United States and the Netherlands and is currently executive VP and CFO at Dutch lithography firm ASML. Verwiel has also served at Merck &Co, where he was vice president and was general manager at Merck Sharpe Dohme’s operations in the Netherlands. 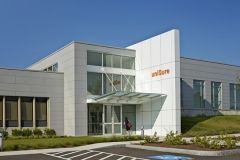 Based in the Netherlands and the US, uniQure has appointed Matthew Kapusta as its chief executive officer. Approximately 0 fully matching, plus 17 partially matching documents found. Star Europe is very proud to have received fantastic feedback in the Netherlands since opening its Amsterdam office in November. Having listened to market need, Star is expanding its European offering in the Netherlands, which continues to experience rapid growth in the Life Sciences market. They polled over 6, 600 employees from Australia, Canada, France, Germany, the Netherlands, Scandinavia, Spain, the UK, and the United States. level. This would mean a doctor in South Africa and a doctor in the Netherlands could share their knowledge and experiences, improving their treatment strategies.